VisitScotland is the national tourism organization for Scotland. Our core objectives are to promote Scotland as a must-visit, must-return destination for business and leisure travel, engage and work in partnership with the tourism industry, add value to the visitor experience, provide strategic direction to the industry and manage our operations efficiently and effectively. VisitScotland working in partnership with industry has an ambition to grow Scottish tourism revenues by 50% by 2015. In addition, it is fundamentally important that VisitScotland works within Scotland’s Tourism Framework for Change which challenges public agencies and businesses to establish Scotland as Europe’s most sustainable – economically, environmentally and socially – destination by 2015. VisitScotland has a key role to play in meeting this challenge. Using information and influence and leading by example and encouragement, VisitScotland’s Sustainable Tourism Unit will drive Scotland’s tourism industry towards greater environmental, economic and social sustainability. Tourism is worth £4 billion to the Scottish economy and 80% of all visitors to Scotland originate from the UK with overseas visitors accounting for the other 20%. Our International Marketing department is split into three teams which focus on key target audiences within North America & Australasia, Europe and Emerging Markets. Scotland is world-renowned for its traditional iconography (whisky, tartan, stunning scenery, warm hospitality, innovation, education and architecture), and whilst these aspects of our heritage are very important, there’s so much more to Scotland than these. VisitScotland has been working with the national adventure travel industry since 2002, in order to raise the profile of Scotland as key global destination for both ‘soft’ and ‘hard’ adventures in the Great Outdoors. Adventure tourism offers many positives for Scotland. This includes excellent opportunities to develop a sustainable rural economy and educate visitors about Scotland’s constantly developing ‘green’ credentials. It also allows VisitScotland and tourism businesses to link adventures in the great outdoors to our unique cultural heritage and natural heritage and surprise both loyal and new visitors about what Scotland can offer in addition to our traditional iconography. Mountain Biking: Scotland has a wide range of purpose-built mountain biking centers dotted throughout the country, featuring dedicated all-weather trails, which are accessible to all levels of biker – from beginner (green trails) right through to aficionados (black and orange trails). In addition and importantly, Scotland also has a myriad of natural singletrack trails on offer which take the experienced mountain biker into what sometimes feels like uncharted territory. These natural trails are the perfect complement to dedicated cent res and truly offer mountain biking for all abilities. Access to these trails is also enshrined in some of the most progressive access legislation in Europe which presents visitors with unambiguous opportunities to get into the wider countryside and go exploring off-the-less-beaten-track! Log on to www.visitscotland.com/adventure for more information. 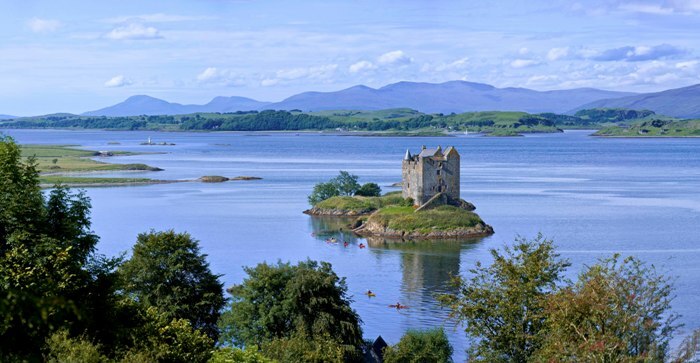 Sea Kayaking: Scotland is a relatively small country. If you travel south to north as the crow flies – it’s only a few hundred miles! But if you undertake the same journey by sea kayak you’ll discover thousands of miles of coastline to explore. And that doesn’t include the islands anchored round the coast. There are many perfect locations for sea kayaking around Scotland, but arguably some of the finest waters in the world for this activity are to be found on the west coast and on the very western edge of Europe, in the Outer Hebrides. Paddle through an elemental, awe-inspiring landscape taking in the amazing sights with some indigenous wildlife for company along the way. Log on to www.visitscotland.com/adventure for more information. Walking: Scotland can offer adventurers an enviable diversity of walking options, from gentle forest walks to challenging mountain treks and epic adventures through some of the finest wilderness areas in Europe via formal, informal and visitor-devised long-distance routes and trails. The UK benefits from some of the finest landscape mapping in the world, which makes planning your own route all the easier and more rewarding. And the Scottish Outdoor Access Code again provides outdoors enthusiasts with unambiguous guidance on accessing wild areas responsibly. Log on to www.visitscotland.com/walking for further information. Wildlife: Due to the wild and undeveloped nature of the landscape, Scotland is home to an abundant diversity of resident and visiting species and can offer the adventure traveler some great wildlife-watching opportunities as part of their visit. Drift quietly on gentle currents to see minke whale, basking shark, dolphins, seals and porpoises. Sit patiently with some binoculars to catch a glimpse of the magnificent white-tailed sea eagle or golden eagle (as well as a much wider variety of birds of prey and birdlife in general) or tread warily to catch sight of magnificent red or roe deer, red squirrel, pine marten, otter and much more besides. Log on to www.visitscotland.com/wildlife for more information. 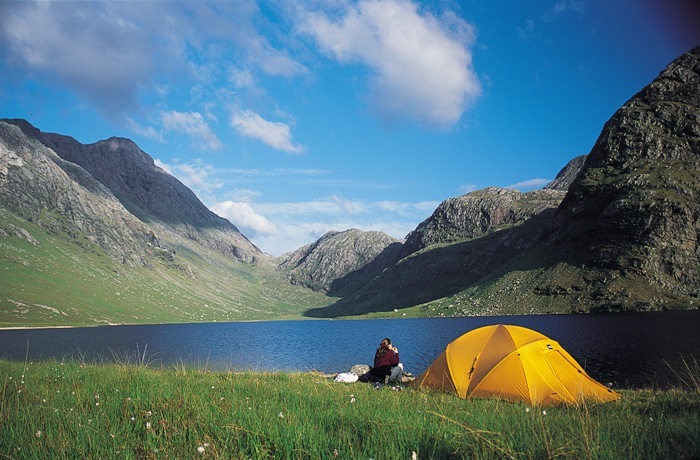 Green Tourism: VisitScotland has green and sustainable tourism at the very core of its operations. The organization adopted an environmental policy in 2006 which covers VisitScotland’s own green practices, how we communicate and educate visitors to green issues and also sets out how we promote environmental good practice and shared responsibility with the Scottish tourism industry. VisitScotland has had a long involvement with the Tourism & Environment Forum (now the VisitScotland Sustainable Tourism Unit), which develops industry initiatives to increase the profile of green issues and how to tackle these. Further information can be found at www.greentourism.org.uk. Green Tourism Business Scheme: Many Scottish tourism businesses and their patrons have long enjoyed the benefits and prestige that membership of the Green Tourism Business Scheme brings. This scheme was developed and introduced in Scotland in 1997 and is now the premier green qualmark for tourism businesses throughout the UK. There are currently 2012 member businesses throughout the UK (over 700 of which are Scottish) and the scheme is a key tool in driving sustainable tourism in Scotland forward. Membership recruitment is a key focus for this scheme and further information about it can be found at www.green-business.co.uk. The above gives a flavour of what Scotland is doing, but there’s so much more going on! To find out more contact the above or better still, come and visit and find out for yourself!